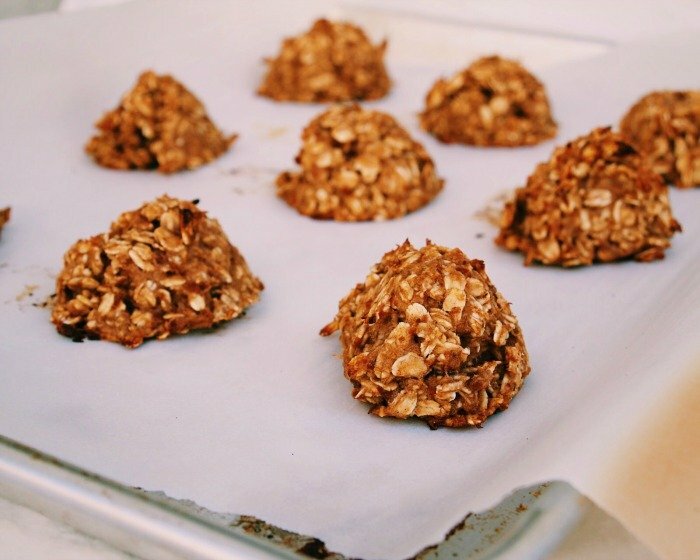 Three ingredients and healthy enough for no guilt to be attached, these simple Banana Oatmeal Cookies are the perfect snack to have on hand! It’s moving week here (finally), so I prepared by making a LOT of food to keep the kiddies entertained while I am cleaning and moving boxes. There is nothing worse than a hungry, grumpy child! 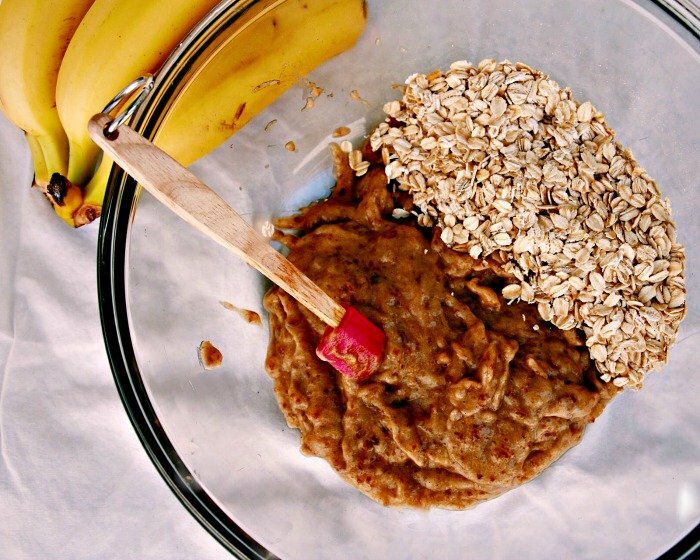 These banana oatmeal cookies call for just 3 ingredients and 5 minutes prep…you are welcome! 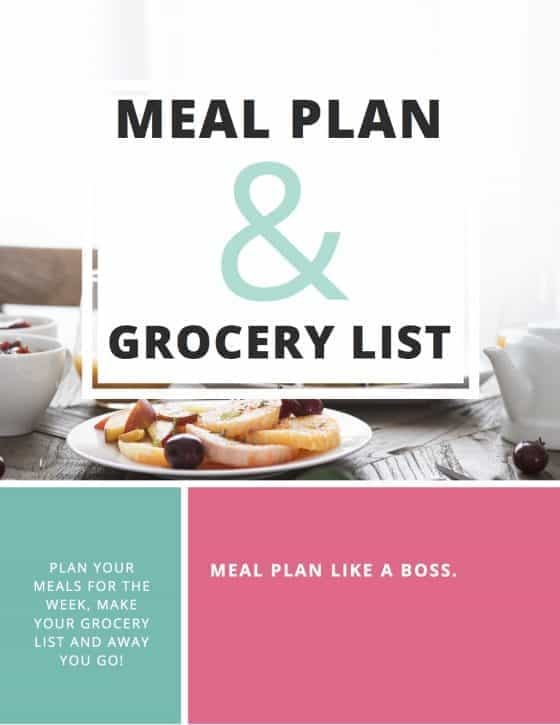 Plus you will most likely have all of the ingredients in your pantry – huge BONUS! The combinations are endless, just throw in whatever takes your fancy. Our favourite here is a big scoop of peanut butter, but we are also partial to some fresh blueberries, choc chips, chopped nuts or coconut. Use your imagination and come up with something great (or stick to the basics – they are great without any add-ins). 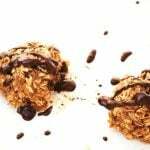 If you are looking for a slightly naughtier cookie option, I have just the one for you: Pecan Dark Choc Chunk Oatmeal Cookies. Let me know what you think. Leave a comment, like on Facebook, tweet on twitter or pin to pinterest for another day! 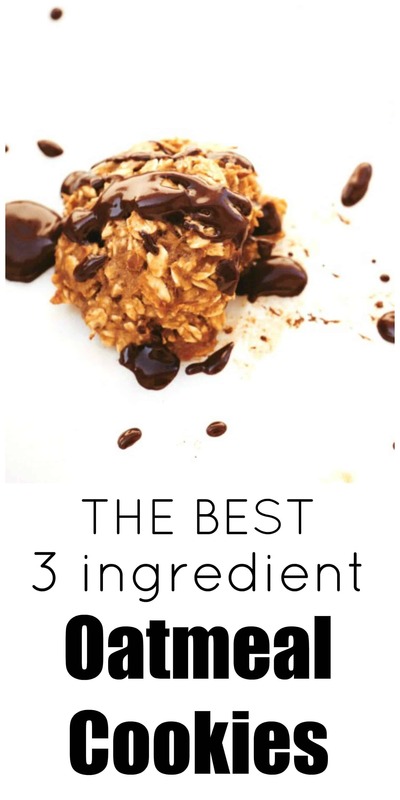 Three ingredients and healthy enough for no guilt to be attached! Waiting for these to cool off! Can’t wait to eat!!!!! Oh yay, I hope you love them Hannah! We have them ALL the time around here!! I have seen dates used in way too many recipes now. I’m starting to think that I need to try them out since they work so well for baking healthier items. I might have to try out this recipe! I can almost taste them they look so delicious! **puts ingredients on shopping list** My cupboards are almost bare at the moment as I put off grocery shopping until the last possible moment. Thanks for sharing this yumminess with #foodpornthursdays! Very welcome 🙂 Good luck with the shopping!! These look awesome! 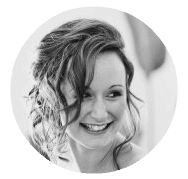 I love simple – saving on pinterest! Thanks Joann 🙂 I love simple too!! Ok, I need to try this! Looks so good! Pinning for sure. Aww thanks Rianna 🙂 Hope you got something to eat!! Yum! These sound so good! I need to try them out! These look fantastic! Can’t wait to try! These look delicious! 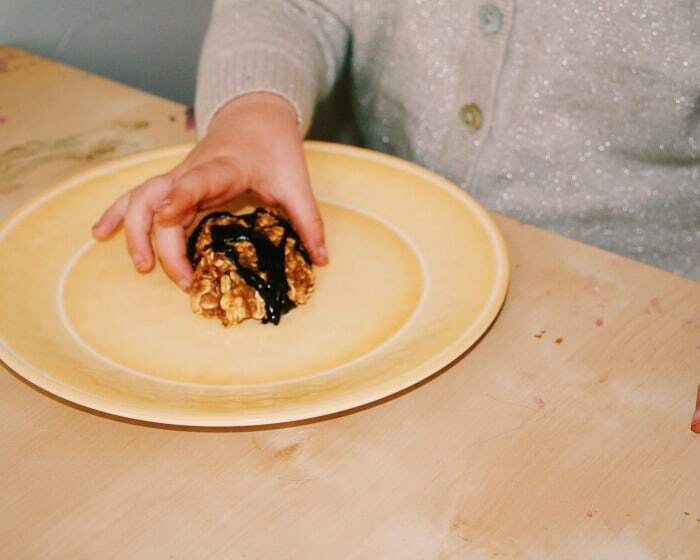 I love banana oatmeal cookies! These look delicious. Nice idea using dates too! These look amazing!! Thanks for sharing your recipe. I’m excited to make these soon! You are very welcome Lindsay, I hope you enjoy! Yes you can just send me a batch of these – sounds amazing! Love the ingredient list – so simple! No worries Sam, you can pay the shipping though 🙂 I am making your noodle recipe tonight! It’s no coincidence that I have all of these ingredients on hand and I may need to make them tonight. 🙂 Thanks for sharing! I pinned for future reference! No coincidence at all 🙂 Enjoy Heather! I love this kind of cookies! I made them with raspberries in there and actually without the dates – love it! I have tried these before and wasn’t a fan, however, your recipe looks delish so you have inspired me to try them again! Thanks, I hate to give up! Never give up 🙂 My husband wasn’t too fussed the first time I made them, but since changing the recipe up a bit and making sure the banana and dates are really smooth (so there’s no bits), he now loves them. I hope they work well for you this time! Mm! I LOVE how healthy these are! I’m definitely going to try and make these soon 🙂 Thanks for sharing! Yeah they are totally healthy enough to be justified as breakfast cookies 🙂 Thanks for stopping by! 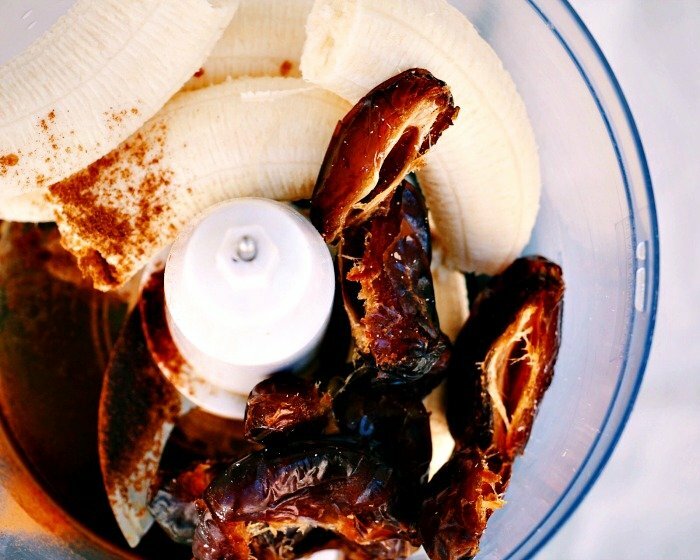 These look really yummy and easy:) I need to start using dates more. Mm…I’m going to try these with gluten free oats! 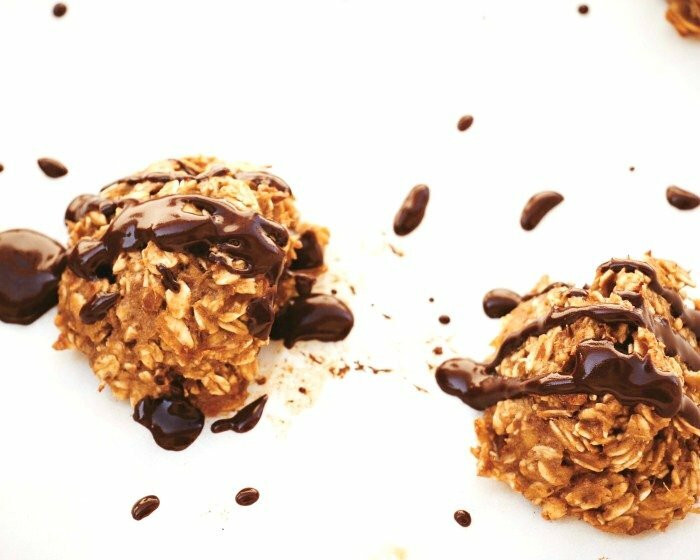 I actually made this batch with gluten free oats and they were great! Hope you enjoy! Oh my gosh, those look so amazing, I’m definitely going to be making them! Thanks for the great recipe! You are very welcome Erica – I hope you enjoy!